When you create a new Design or inspect an existing Design using the Get Info action, you have the option to format the design for mobile development. Selecting the Format as Mobile App checkbox ensures that your design will be rendered at 100% size on your mobile device and that the device’s browser will not be allowed to change the viewport scale. 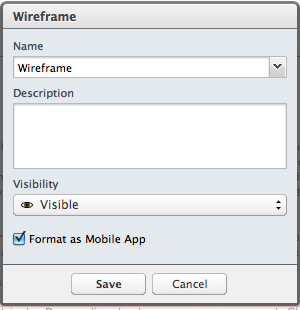 This ensures an app-like experience for your mobile app prototypes.